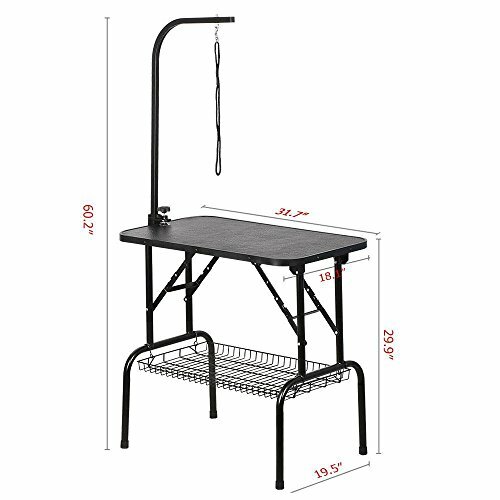 【Specification】Pet Grooming Table Dimension: 32 x 18 x 30 inch (L x W x H);Color:Black. 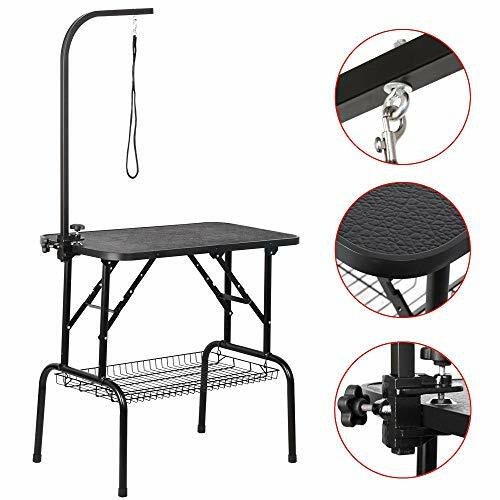 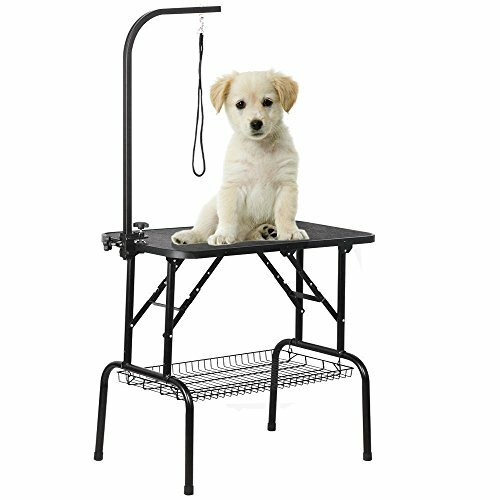 【Folding Dog Grooming Table】A strong security leash loop with sturdy buckle, Folding design for easy storage and transportation. 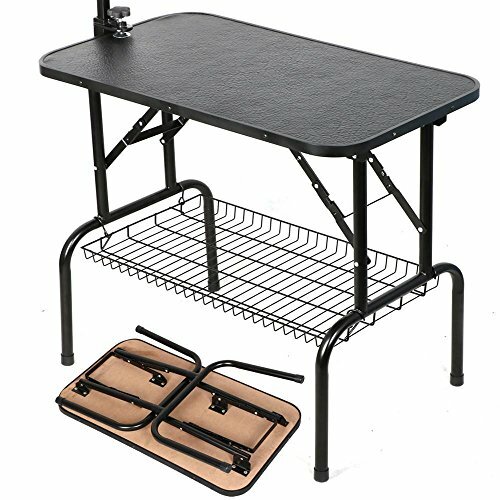 【Large Grooming Table】26 X 15 inch (L X W) Metal Mesh Tray for storing common pet grooming equipment and accessories. 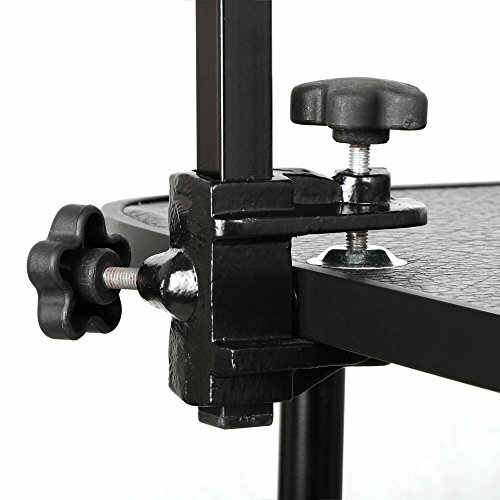 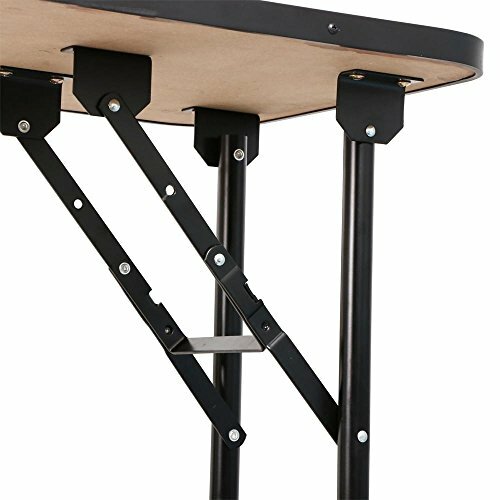 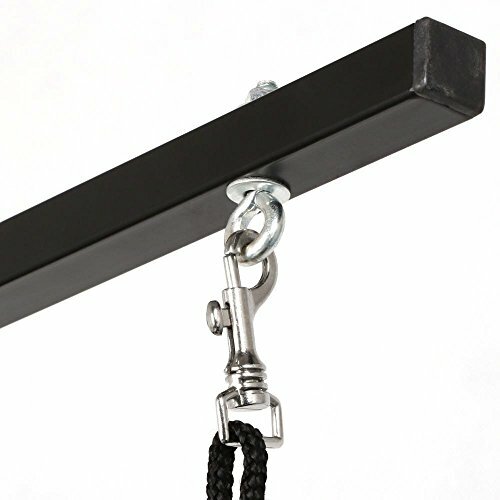 【Adjustable Grooming Arm】Strong goal post style legs in glossy black finish with rubber capped feet, Includes adjustable grooming arm, adjusts to 31inch. 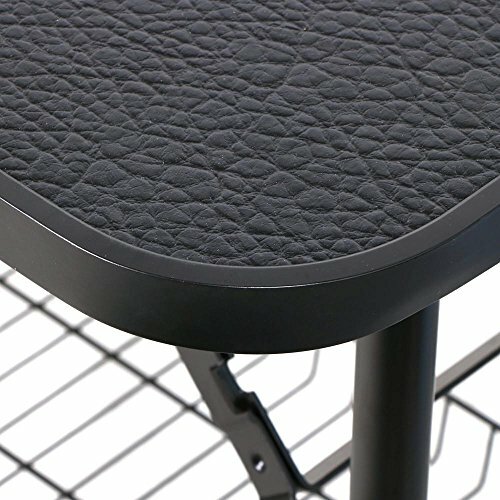 【Non-Slip Waterproof PU Drying Table】Soft surface with non-slip texture comfortable for pets to stand steadily and easily wipes clean.